Hotel Chelsea Pines Inn, New York, United States of America - Lowest Rate Guaranteed! Chelsea Pines Inn is centrally located in New York, a 4-minute walk from Chelsea Market and 7 minutes by foot from The High Line Park. 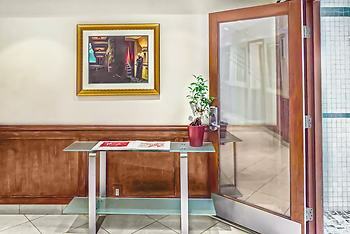 This hotel is 2.1 mi (3.4 km) from Empire State Building and 2.3 mi (3.7 km) from Broadway. Remarkably quiet for a busy street. Great breakfast.